The light grey Dialog 4220 Lite system phone combines Aastras award-winning design with exceptional voice quality and high-performance functions to enhance the user experience. 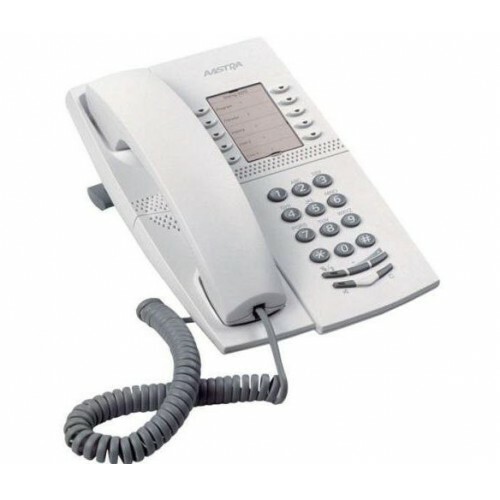 The phone delivers intuitive operation and ease of use, so the user simply connects the phone to start enjoying integrated functions without having to spend a lot of time going through the user’s guide. This compact, low-cost, digital model features all the essential operations for optimum office performance. The Dialog 4220 Lite is ideal for users looking for the functionality of a traditional phone but with high-quality voice. This sturdy, user-friendly system phone is easy to fix to walls for convenient integration into service application or visitor environments. Why should you buy this Dialog system phone? The Aastra 4220 Lite has a great design and light grey colour that blends well into different applications areas. In addition, it has various useful features, including the loud speaker function; programmable loudness, ringer, and tone character; acoustic shock protection; hearing impaired support that is adjustable up to +6 dB, 5 programmable keys, and 12 LED function keys.